I’m teaching September 15 at Prairie Art Stamps in Springfield, Illinois. For more information, follow the link under “My Favorite Links” to the right of my blog. 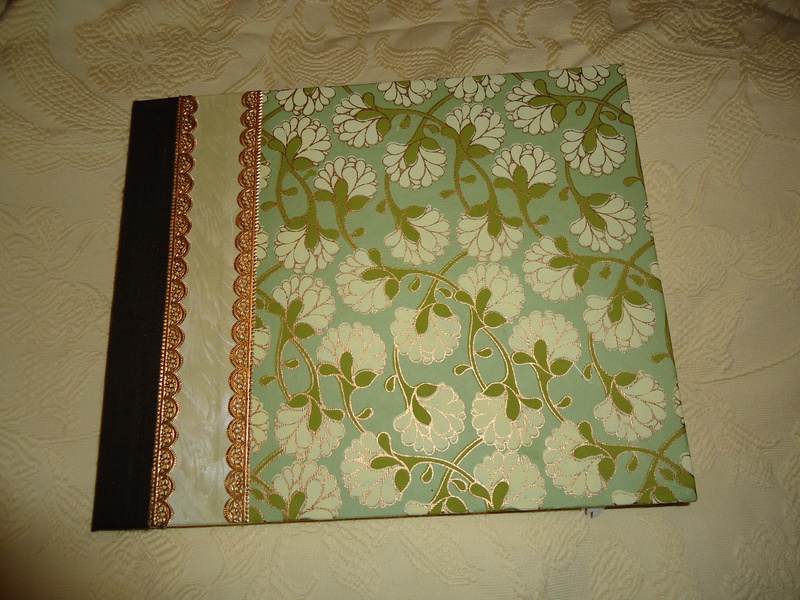 This workshop features an interesting “twist” on traditional binding. You’ll use a Cuttlebug embossing folder to create a “one of a kind” cover for your journal and learn to assemble the book using mixed media paper and matboard. We’ll highlight the embossing with ink. The waxed linen for the chain stitch, text wrap paper and the ink for the cover will be gorgeous, rich co-ordinated autumn colors. The chain stitch binding is elegant and easy. It’a a stitch you will want to use again and again because it is so lovely and versatile. 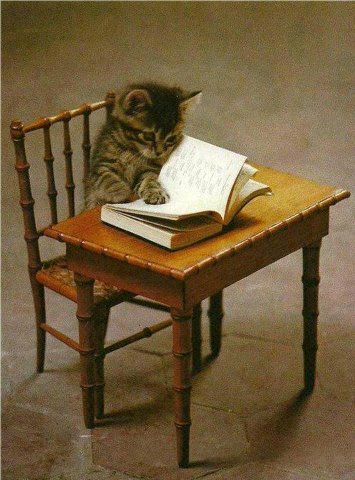 This is a 5 section journal… nice and chunky with lots of room for notes. Please bring scissors, bone folder, awl or Japanese Screw Punch, and a ruler. There will be several embossing folders available for you to use, but if you have a favorite you are welcome to bring it. 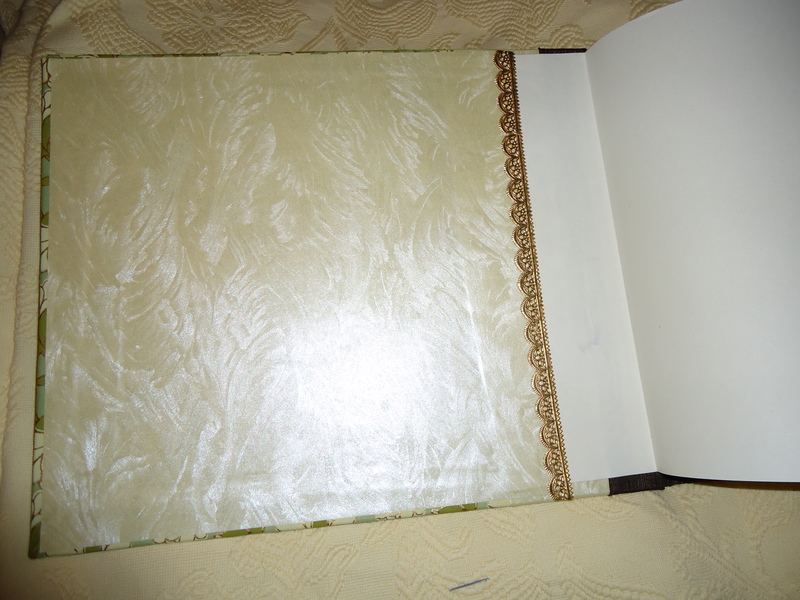 I created this casebound guestbook for my cousin Nancy & Bill’s wedding, August 2012. 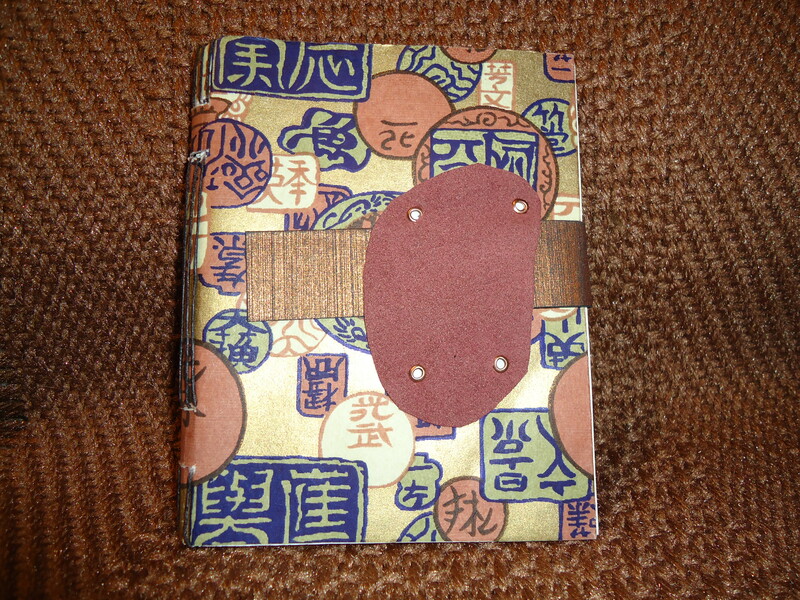 The cover paper is a screen print made in India and the spine is Japanese bookcloth. I used German Scrap to trim the front cover. Popular in Victorian times, it is still made in Germany and still a lovely accent.